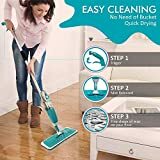 Top 10 Best Floor Mops in India 2019 - Top 10 In India - Only The Best of everything! LATEST product list, updates regularly! Floor mops are a very basic product that we usually buy without putting much thought into it. 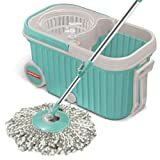 However, the ideas and know how that go into mops has greatly improved, and we have much improved and much more efficient mops available to buy today. You can have a look at the mist popular mops in India today, int he list below. 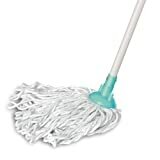 You will notice mops that have different features, from a spinning head to interchangeable mop heads etc. 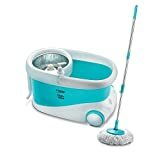 To make sweeping the floor much easier, Gala has come up with a magic mop that they call the Gala Quick Spin mop. It is very convenient and eliminates the need for bending and kneeling while sweeping and swabbing the floor. It also has a special bucket that can be pulled along like a carry bag with wheels. 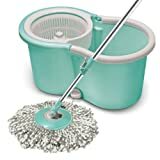 The mop rotates 360 degrees making it very easy to clean stains and get a sparkling clean floor. The swab that is attached at the head of the rod is detachable and can be removed and washed, even in a washing machine. The Gala Mop comes with two magic swabs, which are made of special microfibers for extra absorbent cleaning. 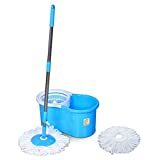 You can see a video of how the Gala Spin Mop works, by scrolling to the bottom of the Top 10 Mops list below. It’s time for you to choose a mop that the world trusts. 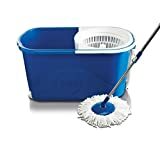 Scotch-Brite Flat Mop and refill combo for Magic Easy floor cleaning.